If you do a Google image search for “Snow in the Sahara,” you will get a screen full of images similar to this one. What would bring you to search for that particular term? I read The New York Times every morning and a couple of weeks ago I came across a story about just that phenomenon. For me, the photograph raised memories from close to 50 years ago when I first came to the US to do my postdoctoral education. I grew up in Israel, a small country with a Mediterranean climate where snow was a relatively rare occurrence. On my first visit to the US, my family and I drove from the east coast to California. We took Interstate 40 through New Mexico and Arizona, passing through the Mojave Desert. 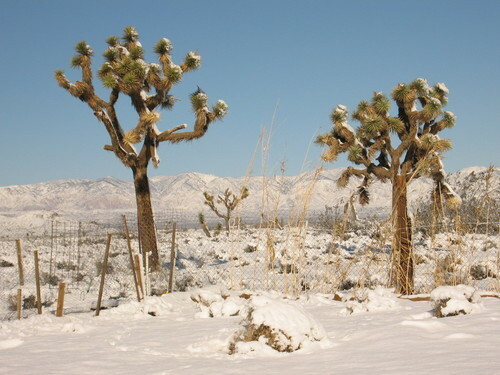 When I looked out the window I saw the unbelievable sight of a snow-covered terrain with the odd-looking Joshua trees emerging throughout. Rein Haarsma, a climate researcher at the Royal Netherlands Meteorological Institute, cautioned against ascribing the white-capped dunes to changing temperatures because of pollution. 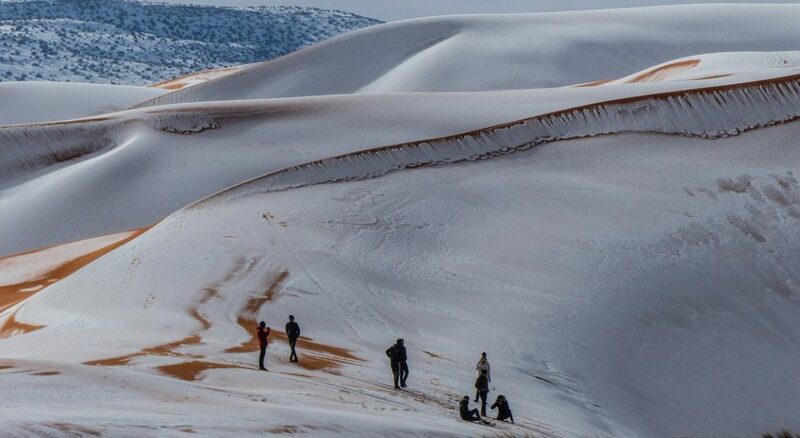 The snow fell in the Sahara at altitudes of more than 3,000 feet, where temperatures are low anyway. But Mr. Haarsma said cold air blowing in from the North Atlantic was responsible. Those icy blasts usually sweep into Scandinavia and other parts of Europe, Mr. Haarsma explained, but in this case, high-pressure systems over the Continent had diverted the weather much farther south. Mr. Haarsma offered a mechanism to explain why we see snow in the Sahara: he claimed it is not due to climate change but instead caused by cold air blowing down from the North Atlantic. He did not, however, explain why we are now seeing so much cold air from the North Atlantic reach as far south as the Sahara. Well, snow in the Sahara is not the only so-called unique extreme weather we are seeing. He got more than 60,000 retweets, more than 200,000 likes, comments and replies. Such is the power of social media these days. A study published last year in the journal WIRES Climate Change, however, lays out how the warming Arctic and melting ice appear to be linked to cold weather being driven farther south. “Very recent research does suggest that persistent winter cold spells (as well as the western drought, heatwaves, prolonged storminess) are related to rapid Arctic warming, which is, in turn, caused mainly by human-caused climate change,” Jennifer Francis, a climate scientist at Rutgers University and one of the study’s authors, said in an email. 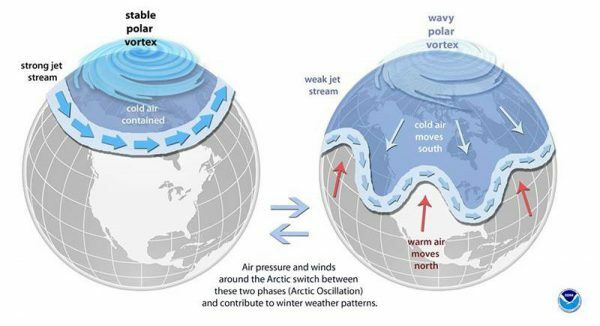 But researchers have said the loss of sea ice and increased snow cover in northern Asia is helping to weaken the polar vortex. In addition, “abnormally” warm ocean temperatures off the West Coast are causing the jet stream over North America — which moves from west to east and follows the boundaries between hot and cold air — to “bulge” northward, Francis said. That scenario is what has caused a lack of storms so far this winter in California and Alaska’s unusually warm and record-breaking temperatures, she added. Meanwhile, the wrinkled jet stream as it travels east is also being pushed farther south, according to her research. Mr. Ortiz included a picture from NOAA (National Oceanic and Atmospheric Administration) that shows the schematic shift between a strong jet stream – which more or less confines the extreme cold air to the Arctic – and the global-warming-caused weaker jet stream, which allows the air to push further south to regions including the northeastern US and the Sahara Desert (Figure 3). 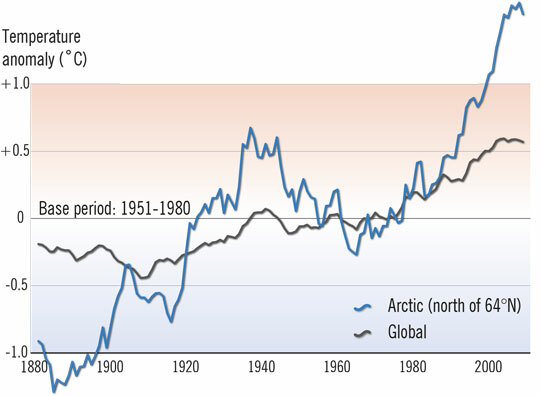 Figure 4 summarizes the Arctic temperature changes as compared to the average global temperature changes from 1880 to the 2010s. There is almost universal agreement that the accelerated temperature increase in the Arctic is the result of climate change by way of changes in the region’s ground reflectivity. In other words, while Mr. Haarsma was basically right about the mechanism of the snow falling in the Sahara Desert, he was wrong about its attribution. It is much more difficult to determine how to attribute localized, specific events to human activities than it is to attribute the culpability of climate change (multiyear weather) on a global scale. But most people’s perception of blame derives from specific extreme events in specific locations (i.e. we understand concrete examples best). So understanding where we stand in our efforts to create/connect culpability maps is of the utmost importance. Next week I will try to show an analysis of a specific case. This entry was posted in administration, Anthropocene, Anthropogenic, Climate Change, IPCC, Sustainability, Trump and tagged Adaptation, alaska, Anthropocene, Arctic, Arizona, atlantic, attribution, blame, California, Clean Energy, Climate Change, Climate Change Denial, Climate Change Deniers, Climate Skeptics, CO2 emissions, cold, culpability, desert, Donald Trump, Drought, Emissions, Environment, Extreme Weather, fake, fake news, Global Warming, greenhouse gas, IPCC, Israel, Jennifer Francis, jet stream, joshua tree, land ice, melting, Mitigation, mojave desert, new mexico, NOAA, Polar Vortex, president trump, Rein Haarsma, Sahara, Science, sea ice, snow, Sustainability, Temperature, Trump, tweet, Twitter, US. Bookmark the permalink.